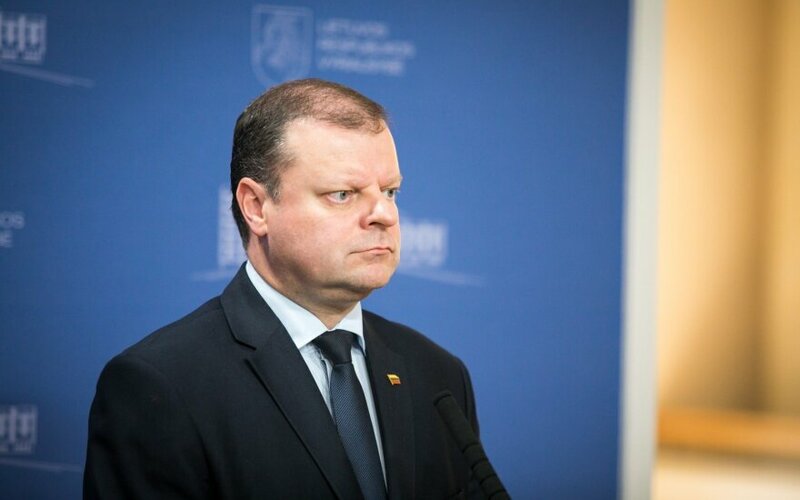 Lithuania's Prime Minister Saulius Skvernelis met with Jaroslaw Kaczynski, the leader of Poland's ruling Law and Justice Party, in Warsaw on Monday night. Held behind closed doors for more than three hours, the meeting did not involve any diplomats or was announced in advance to the media. Kaczynski holds no formal position at the Polish government, however, many reviewers see him as the most influential politician in Poland. This was the second meeting between Skvernelis and Kaczynski over the past year after the first meeting held between the first and second rounds of parliamentary elections last October, before Skvernelis' appointment as Lithuania's prime minister. On Tuesday, the Lithuanian prime minister is scheduled to meet with his Polish counterpart, Beat a Szydlo before attending a four-country meeting of the prime ministers of Lithuania, Latvia, Estonia and Poland. Skvernelis said on the eve of the visit that Vilnius and Warsaw were gradually moving toward a new stage of better relations. The Warsaw meetings are planned to address bilateral relations, energy and transport projects, as well as defense cooperation. Diplomats think the situation of national minorities in both countries should also come up during the meetings. Polish officials have on various levels urged the Lithuanian government to work to keep the existing Polish-language schools and allow the original spelling of first and last names in personal documents. Lithuanian authorities, in their turn, have called for more attention to the education situation of the Lithuanian minority in the Sejny and Punsk region, criticizing the discussions about using images of Vilnius' Gate of Dawn in Polish passports. The meetings may also discuss the Warsaw disagreements with Brussels, as European Union (EU) officials have threatened to take sanctions against Poland over the controversial judicial reform and refusal to take in refugees. R. Valatka. The Gate of Dawn on Polish passports? How should we react?